Cheryl was born in 1949, her parents owned the sandwich shop opposite the Frisco Hotel in Woolloomooloo.Although she knew no-one when the family moved to Woolloomooloo, the Playground was a big ice breaker: “It didn’t take long for a new kid to arrive before they were involved in things and knew people.” The Playground figures greatly in Cheryl’s account. 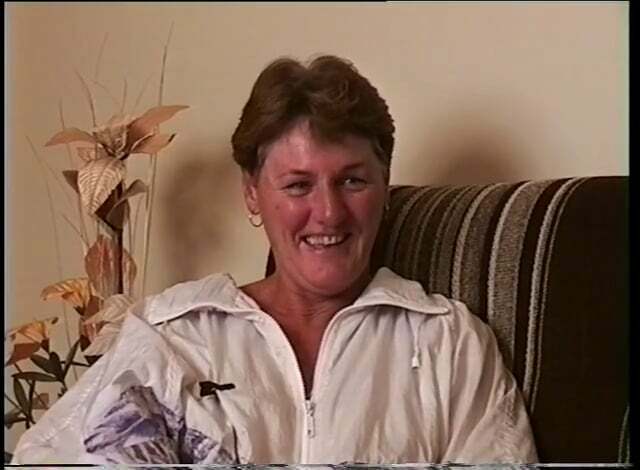 She tells of the contribution made by the Playground staff: Mr Rose, Kay and Kevin Ryan, Mr Rosenfeld, and Miss Straughan and the teaching of sports and physical culture: “They coached us and looked after us and kept us off the streets. The American troopships and the R&R: “they’d all come in and we’d all go up Whisky Au Go Go and have dance partners. So we were right.” Cheryl also remembers the soldiers going to Vietnam, marching to Garden Island to the boat. Of prostitution: “You mentioned Chapel Street and everybody knew what you were talking about. … we got dared one Saturday afternoon, coming home from netball, to run through there with our netball skirts on”. The locals preferred the old swimming pool, which used to be open all year round when it was a netted-off area in the harbour. A couple of times a sign was posted: “Shark in pool, no swimming”. Also recalled are the ships Oriana and Fairstar at the Finger Wharf, the Frisco Flyer which transported workers to and from the Frisco pub at lunchtimes, the Italian community’s Blessing of the Fleet, and the Rolls Royces and fur-clad women and men in their evening clothes sitting in the gutter awaiting the pub’s opening at 6 am.